You want to enjoy the taste of a cake. First of all, you must make a cake. To make a cake, ingredients of a cake should be collected, processed and cooked. Hard work to do !!! Yes you can stop hard working, and sacrifice your temptation. Similarly, to make profit in forex trading you have to conduct a complete market analysis. If you do not want to work hard, you should leave forex trading and should be satisfied with your four figure monthly income. To conduct a complete market analysis, first of all you need to know the dimensions of forex market analysis. There are three dimensions. The dimensions are explained in details below. Fundamental Analysis is the analysis of economic and political factors that can play significant role in the economy of a currency. Fundamental analysis involves analyzing monetary policy, economic performance, economic outlook and other uncertain news that can change the direction or condition of an economy. The value of a currency is determined by the demand and supply of a currency in the market. But the tusk is not that easy as it sounds.Whoever toke the course "Economics 101" in his/her academic life, he/she already learned the law of demand and the law of supply, and the way the price is determined by the demand and supply. In forex fundamental analysis, we analyze the factors that affect the demand and supply of a currency. Technical analysis is the analysis of historical price data to determine the future price. In forex technical analysis we use technical indicators, price action chart patterns, harmonic chart patterns to find the future price movements. Resistance and support levels are also considered as keys to technical analysis. Some oscillators show bullish divergences and bearish convergences to provide entry and exit signals. Technical analysis tools are not that accurate in all situations. Sometimes technical indicators can be fail to the strong fundamental events.Experienced traders very often rely on the chart patterns and one or two affective technical indicators. Sentiment Analysis is actually analyzing the sentiment of the majority of traders, which moves the market towards a direction.We know that forex market has small, medium and large traders. We are the small traders called retail traders. Large and medium traders like central banks, other financial institutions, brokerage firms, small banks, other institutional traders are the key players in forex market. Retail traders only make noise in the market, but cannot move the market towards a direction. In forex sentiment analysis specially we analyze what the medium and large traders are thinking about a currency. Are they bullish or bearish? We also determine whether the trend is within the trend or genuine trend towards a clear direction. 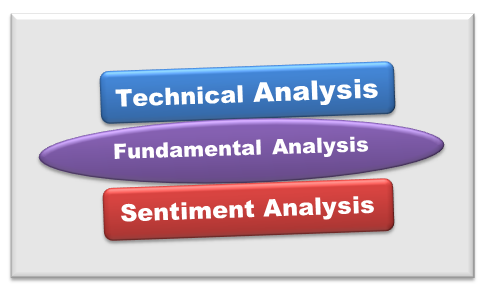 Sentiment analysis helps us in finding a genuine trend of a currency pair. Commitment of Traders(COT) report is one of the most popular sentiment analysis tools for forex trading. 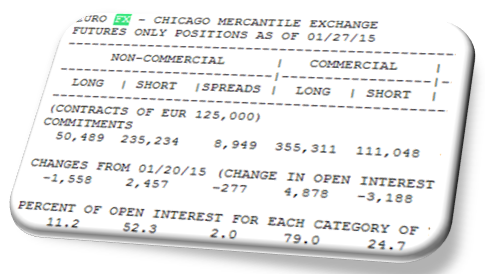 In the COT report you can easily understand what the key market players are doing.Here in this forex trading guide I will write the COT report analysis in details.